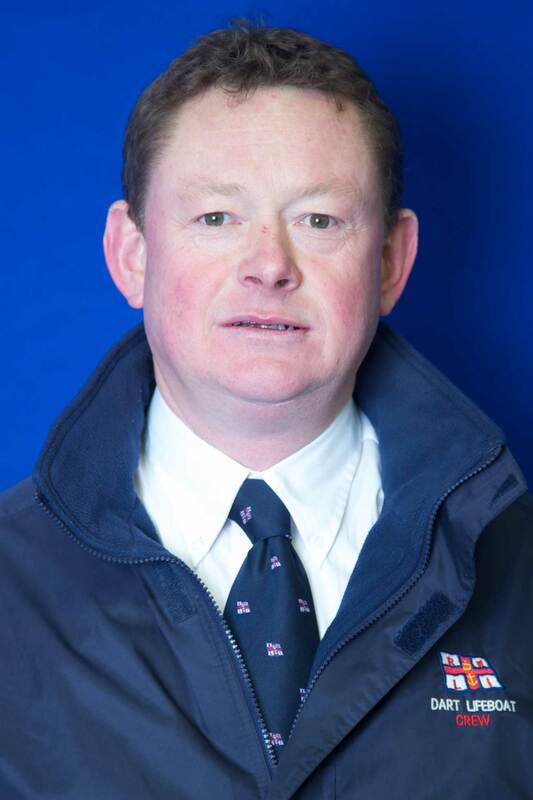 Mark Strudwick joined Dart Lifeboat from the start, back in 2007, as a Deputy Launch Authority and tractor mechanic. Mark came to Dartmouth when he was 4 years old. He runs a small ferry boat business which runs to Dartmouth Castle from the quay. He lives in Dartmouth with his wife. On the 1st of April 2017 he took over the position of LOM, Lifeboat Operations Manager, and is very proud to hold the position for such a great team of volunteers. I am the Lifeboat Station Boathouse Manager. Before moving to Dartmouth in 1991 I spent all my life in N. Somerset. I worked as a chartered surveyor with Bristol City Council. 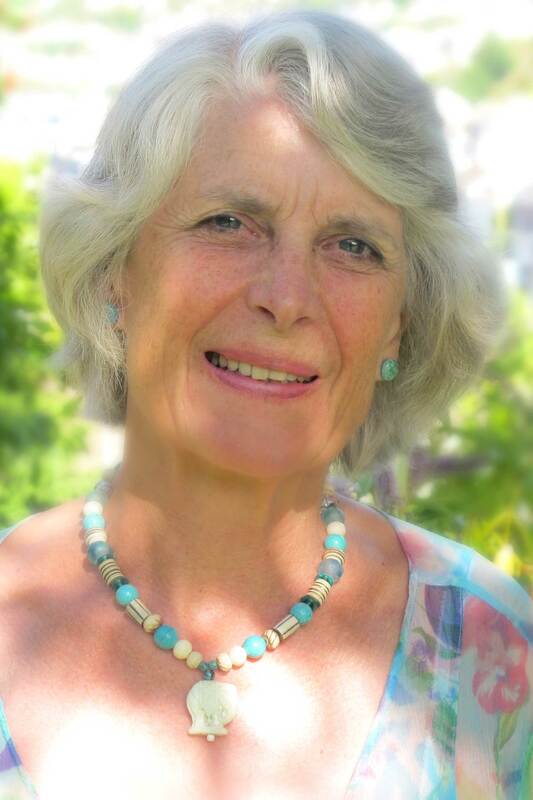 I have been sailing since the age of 12 when I crewed on large yachts in the Bristol Channel. I took up dinghy racing in my early twenties and still race at Dittisham, although progressively less successfully. When the idea of an RNLI lifeboat station was being mooted I thought it was an opportunity to support the organisation in a practical way. Rob Clements is a Dartmothian with a long interest in the sea and has been a boat owner on the Dart since his childhood. From school he joined the Metropolitan Police and later transferred to the Devon and Cornwall Constabulary, retiring in 1999. He then worked part time for the Harbour Authority as a river officer. 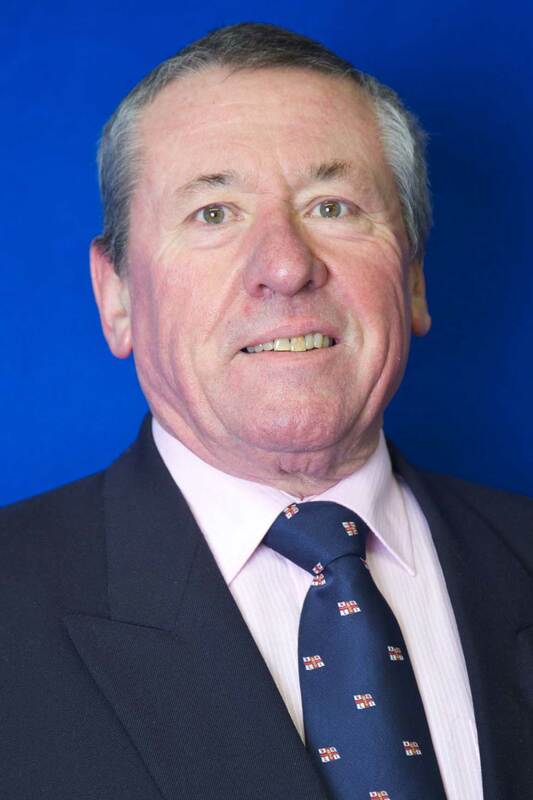 When it was proposed to station an RNLI lifeboat in Dartmouth he was one of the first to volunteer and was appointed Lifeboat Operations Manager in January 2005. Rob is now a Deputy Launch Authority for the station, having stood down from the Operations Managers’ job after 13 years in post. Les moved to Dartmouth in 2001 from Essex having worked in the dock industry for over 30 years. He started work in the West India Dock (now Canary Wharf) as a messaging boy then moved to Royal Albert Dock (now City Airport) as a tally clerk. Les finished his dock industrial days at Tilbury (still a dock). Many changes over the years. 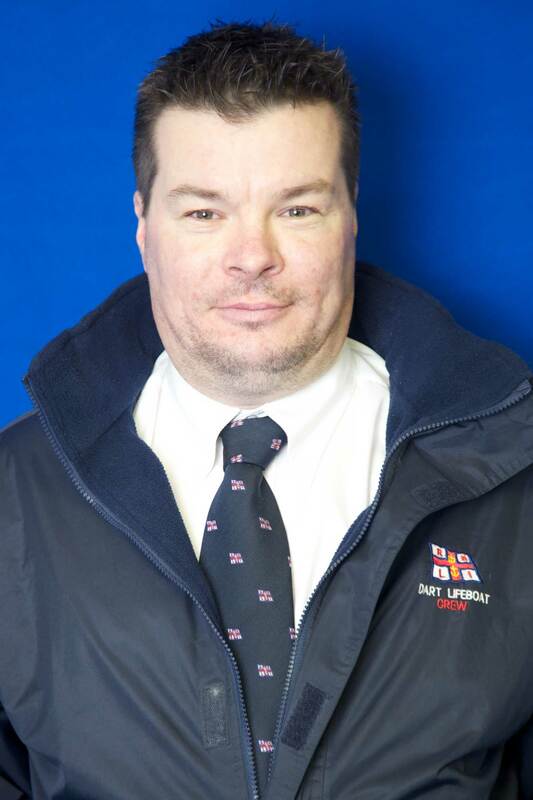 After setting up home in Dartmouth, Les joined Dart Marina Yacht Harbour in 2006 as a berthing master, then became manager, where he remains at present. Les joined the RNLI in 2010 as a DLA supporting a dedicated team of volunteers which he is proud and privileged to be a part of. 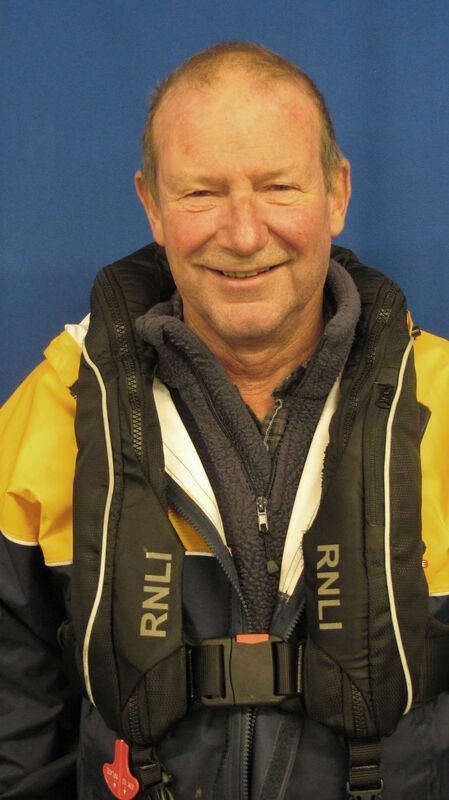 Jerry Gilby has been a member of the Dart Lifeboat crew since the lifeboat was reinstated in 2007. He became a Deputy Launch Authority in 2010. 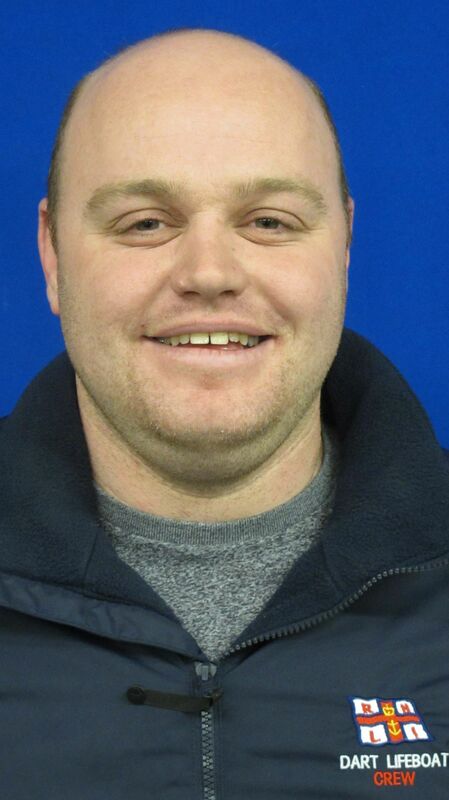 He is one of the lifeboat tractor drivers and a shore crew trainer. He lives with his wife in Dartmouth. He is a former racing driver/instructor and used to drive the Formula One Medical Safety Car at Silverstone. 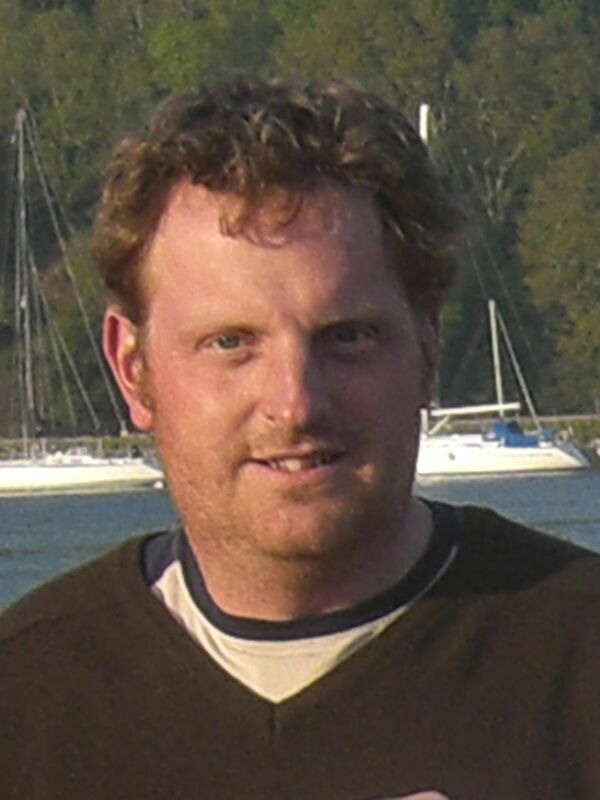 Jerry now works as an Energy Surveyor in and around Dartmouth. He is a keen skier and sailor and a commercially qualified Yacht master. Martin has been a Deputy Launch Authority since February 2008. He was born and bred in Dartmouth where he lives with his partner and works as a self-employed builder and decorator. For several years he lived in Canada and the Falklands where he was involved with fisheries work. 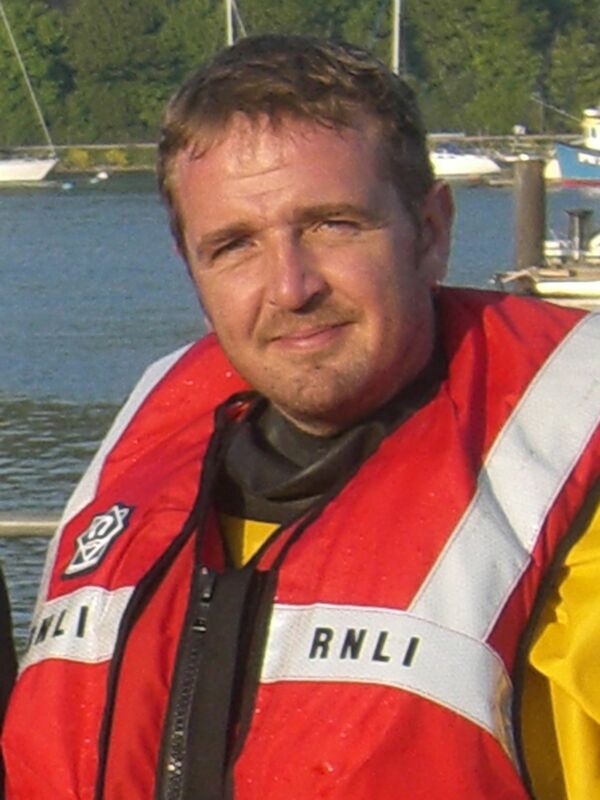 Martin attended an RNLI Open Day, encouraged by his brother who was on the crew, and this inspired him to join up. In his day job Rich works as a serving Merchant Navy Captain for a Norwegian Offshore company on board the new state of the art Service Operation Vessel Edda Passat￾, supporting Offshore wind farms. He is also one of the Marine Pilots for the River Dart. 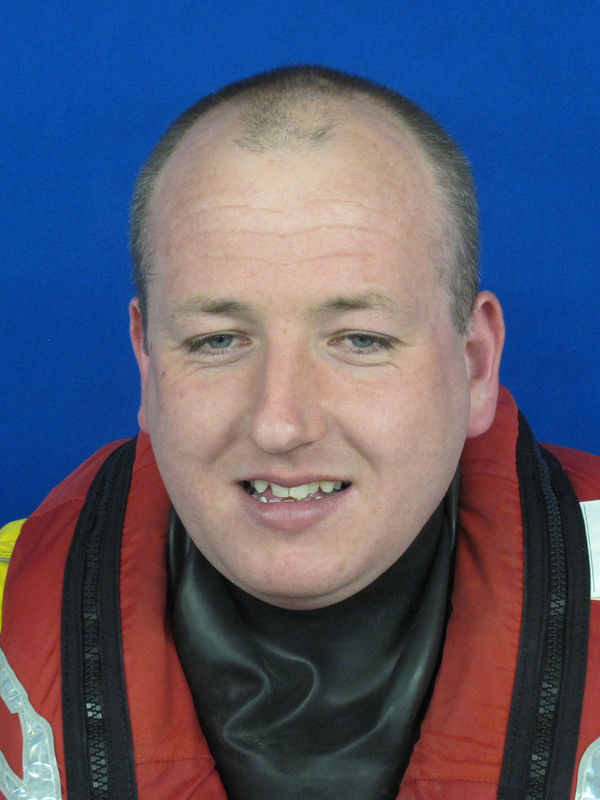 Rich joined Dart Lifeboat in Dec 2011 after moving to the town. Prior to this he was on the crew at Tower Lifeboat in Central London. He has always been interested in the RNLI and enjoys being part of the team here at Dart. Dave Hart, also known as Buster. He has been a helm since 2009 and volunteered to become one of the crew when the Station was being set up. He was born in Dartmouth, not far from the Lifeboat station, and lives with his wife and two daughters. Since he stopped playing Rugby he has taken up Cycling and Rowing. He enjoys the team spirit at the station and the ongoing training. Born in London, Jamie lived in Essex until relocating to Dartmouth in early 2005. A passion for the water and generally spending time afloat developed through sailing on the East Coast. He became involved with Dart Lifeboat in the early days, and after a short period working away joined as crew towards the end of 2007. Jamie has been a helmsman since 2014. Away from the lifeboat Jamie works as a Consulting Engineer. He is a commercially endorsed Yachtmaster, and enjoys spending spare time with his family making, the most of Devon&apos;s coast and countryside. 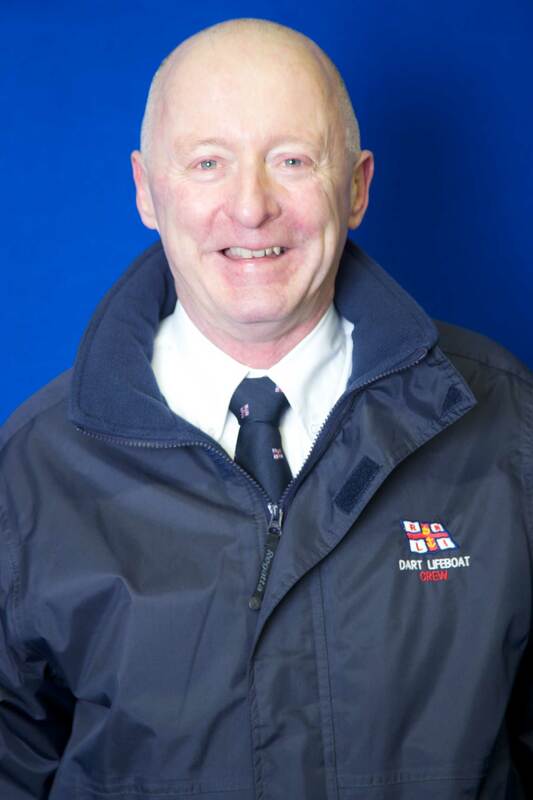 He is proud to be involved with the RNLI and enjoys being part of the Dart Lifeboat team. 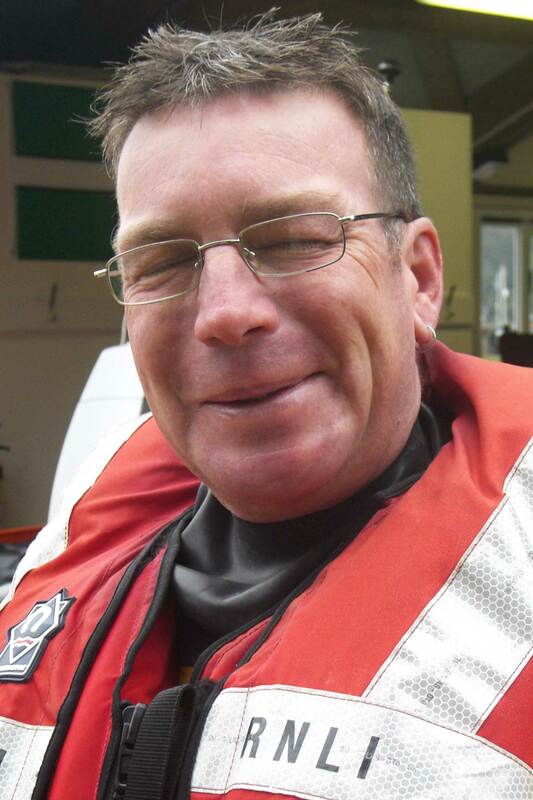 Kevin Murphy has been a volunteer on the Dart lifeboat crew since May 2007 and a helmsman since April 2008. He is self-employed and works locally and within the town. Living and working close by is very convenient for attending shouts quickly. He has always admired the work of the RNLI and jumped at the opportunity to become a crew member when the Dart Lifeboat was established. Andy Pomeroy, known as Poms, was born and bred in Dartmouth. He has always had an interest in sailing and rowing. He became a wooden boat builder when he left school and lives on a sailing yacht which he charters in the summer months. He joined the lifeboat crew in 2007 when the call first went out for volunteers and soon passed his helmsman&apos;s course at Poole. As his boat is only half a mile upstream from the station he is often one of the first helms to reach the station for a shout. 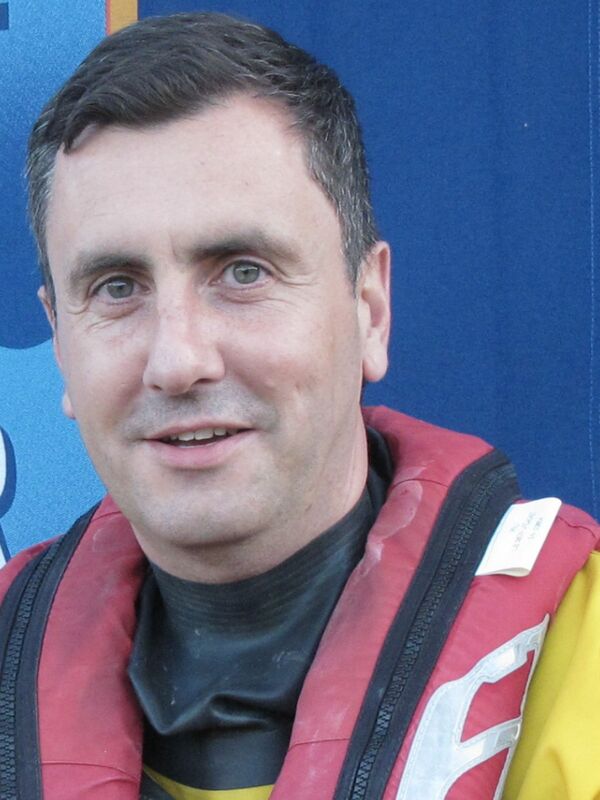 Chris is a helmsman on Dart Lifeboat and has been since Dart Lifeboats inception. 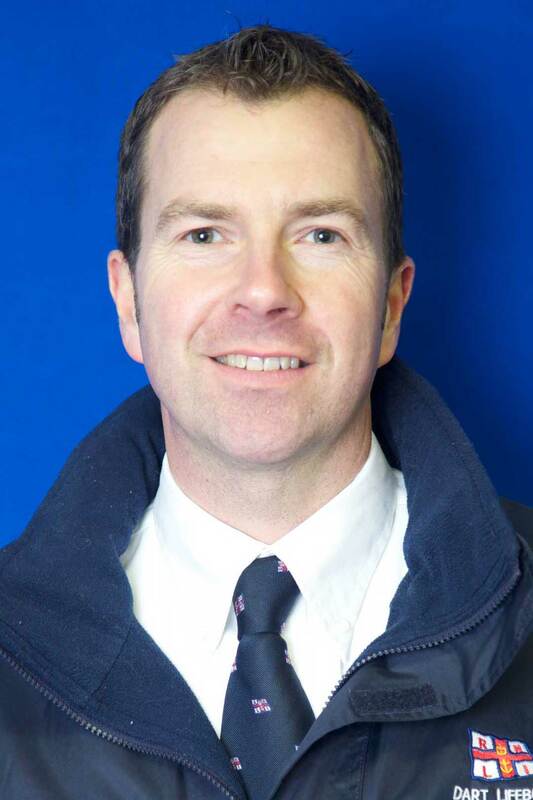 He is also been on the National RNLI Flood Rescue team since 2009. He lives in Dartmouth with his wife and son and has always had strong ties to the town from an early age. 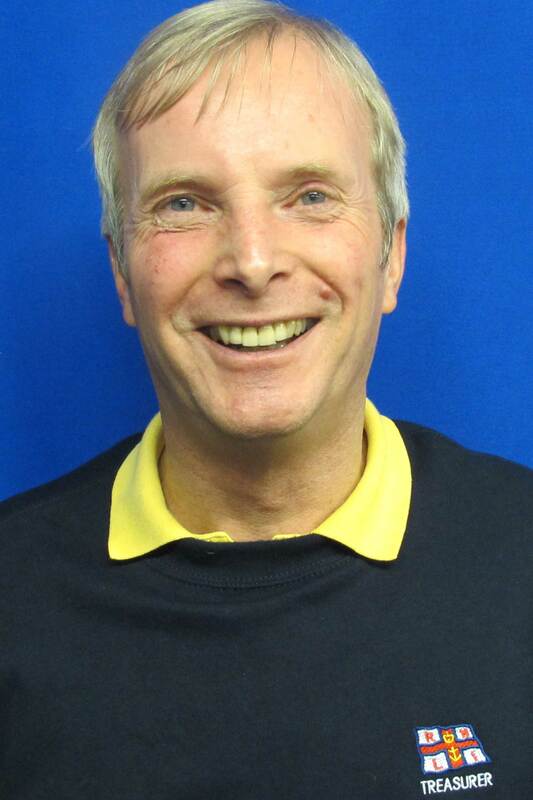 Chris is a qualified commercial skipper who also invests in new business development. 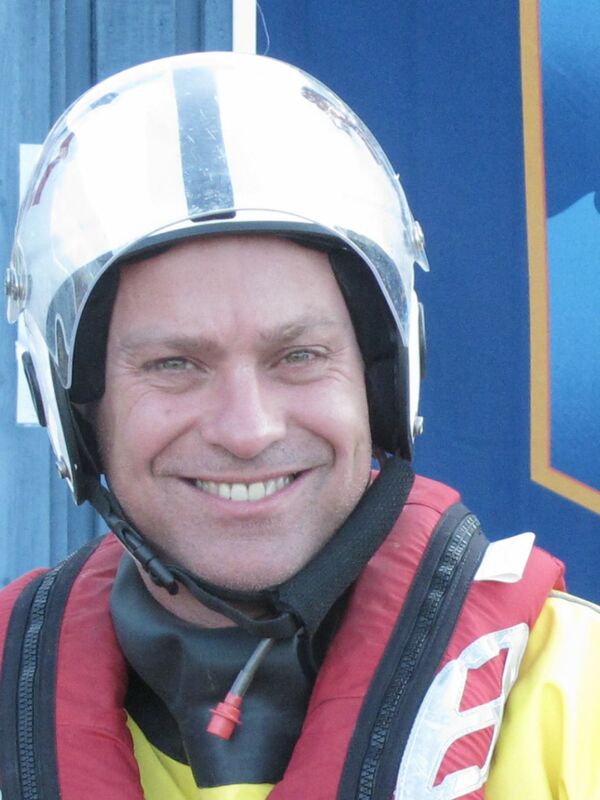 He has always been a great supporter of the RNLI and is now proud to be part of the team countrywide. 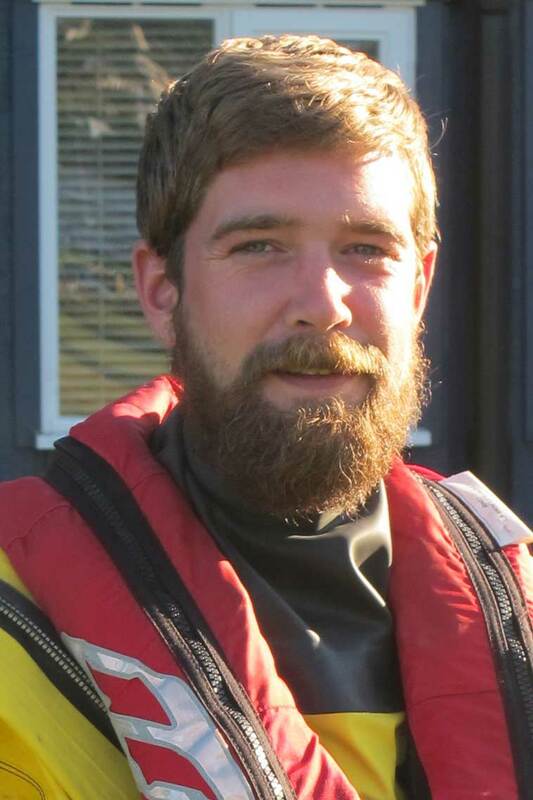 Caleb Brown joined the Dart Lifeboat Crew as a volunteer in the spring of 2017 and officially became a member of the lifeboat crew on 10 April 2018. Fully engaging in the competency based training he is now shore crew, tractor driver and boat crew. He is also responsible for inspecting and maintaining the Crew lifejackets and PLBs. Caleb has served in the Royal Marines Band Service for 27 years, now in his final position of Drum Major before retirement from the service. He is a keen boat fisherman and Dart Yacht Taxi operator. Caleb is very proud to be part of the RNLI, and in particular Dart Lifeboat. Born in Plymouth, Crispin grew up in East Cornwall before moving to Dartmouth in 2011. A Financial Services Project Manager by profession, 9am to 5pm sees him behind a desk. Whilst always enjoying and being close to the coast, the move to Dartmouth was where his passion for the water really took off. In his spare time he is a competitive rower, having previously competed in coxed four skiff racing and currently representing Dart in the many Gig Regattas around the coast. Crispin is also a keen runner, both on and off road. He has competed in numerous marathons and ultra-marathons, as well as shorter distance events. 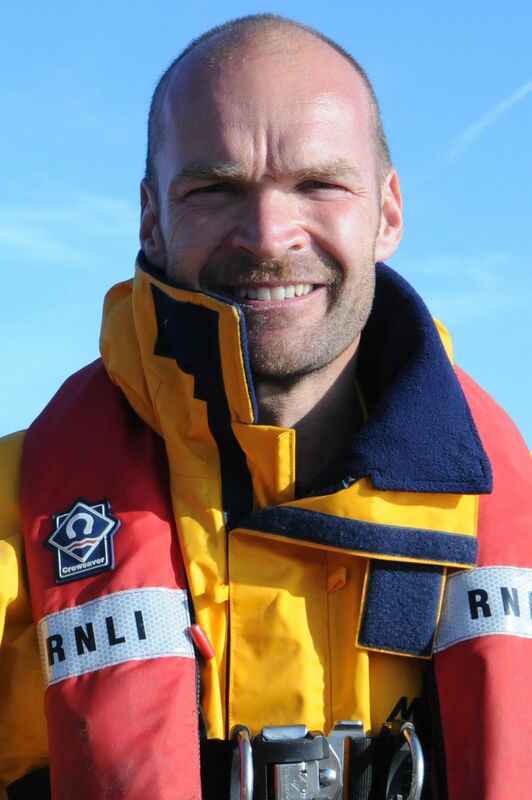 He became involved with Dart Lifeboat in 2016 as ILB crew and is extremely proud to be involved with the RNLI, saving lives at sea. Mark Conroy moved to Blackawton when he was 9 years old as his parents took over the Post Office in the village. Since leaving school he has worked locally as a builder. 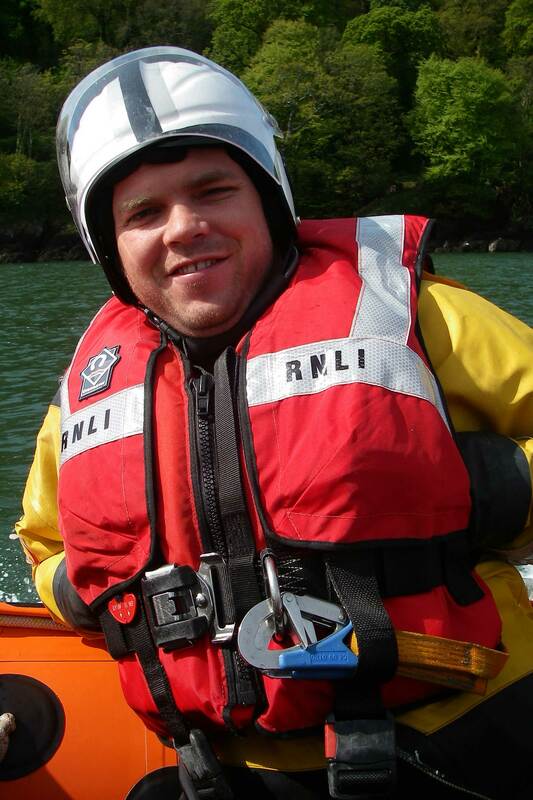 He volunteered to join RNLI Dart in 2010 and came with no previous boating experience. 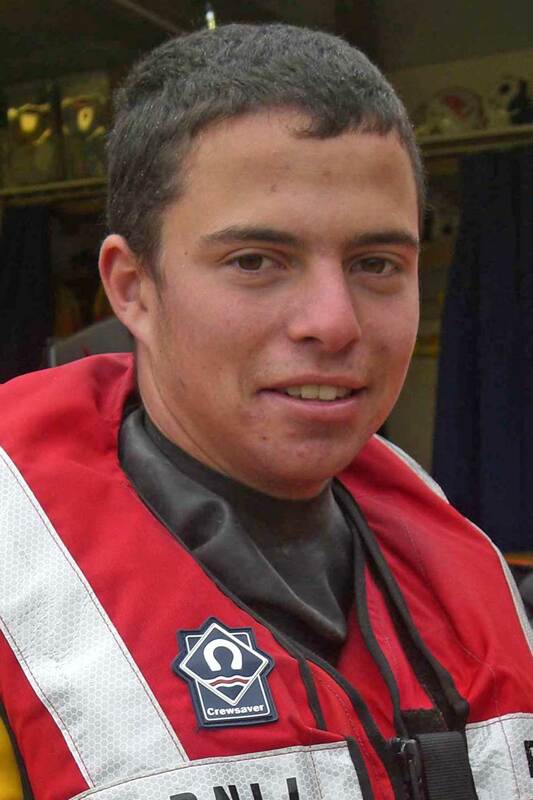 Since then he has enjoyed the training onshore and afloat, both at the lifeboat station and at the RNLI HQ in Poole. 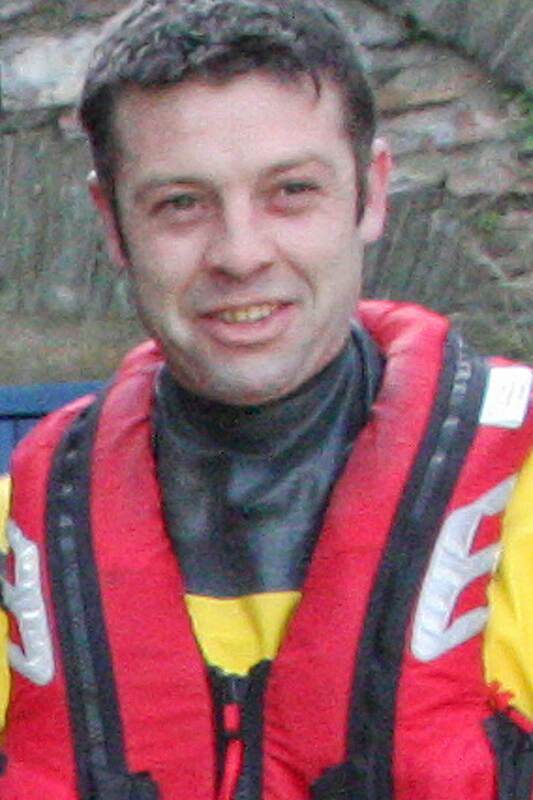 Lee Darch has been a crew member for Dart lifeboat since 2009. He has lived in Dartmouth since 1988, and he currently runs his own landscape gardening business. He is also part of Devon and Somerset Fire and Rescue Service based in Dartmouth. 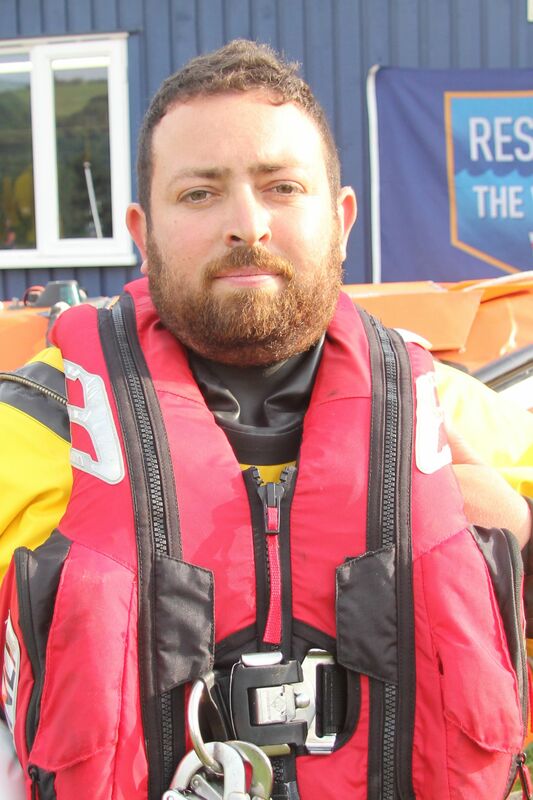 Lee joined the RNLI because he used to work as an outdoor pursuits instructor teaching kayaking, canoeing, sailing and power boating so understands very well the difference the RNLI can make in keeping people safe and well at sea. 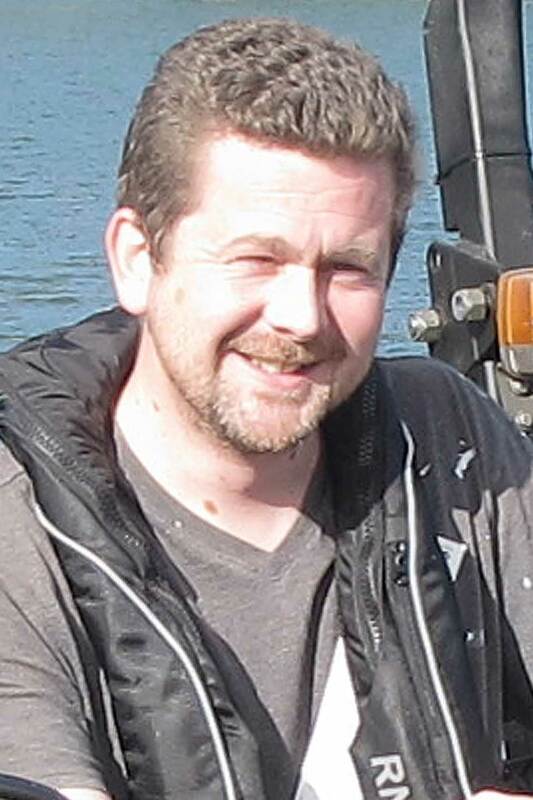 Will Davis has been a Boat Master on the Dartmouth Lower Ferry since 2002 and also drives the DHNA Water Taxi. 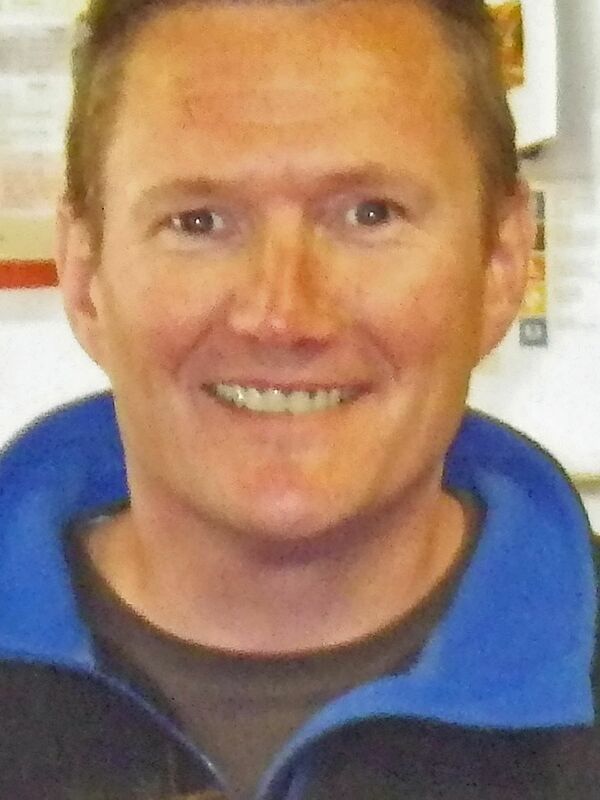 He is a RYA Powerboat Instructor. 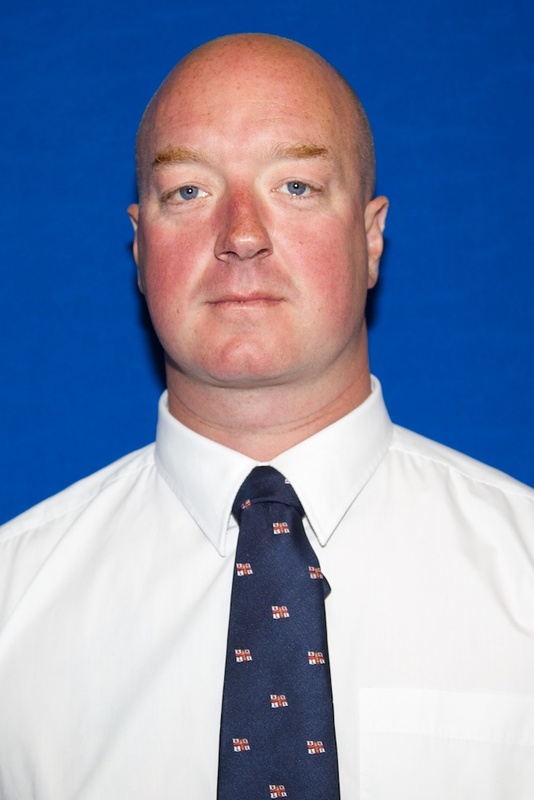 He joined the Dartmouth Sea Cadets in 1998 and has been Officer in charge for the last three years. 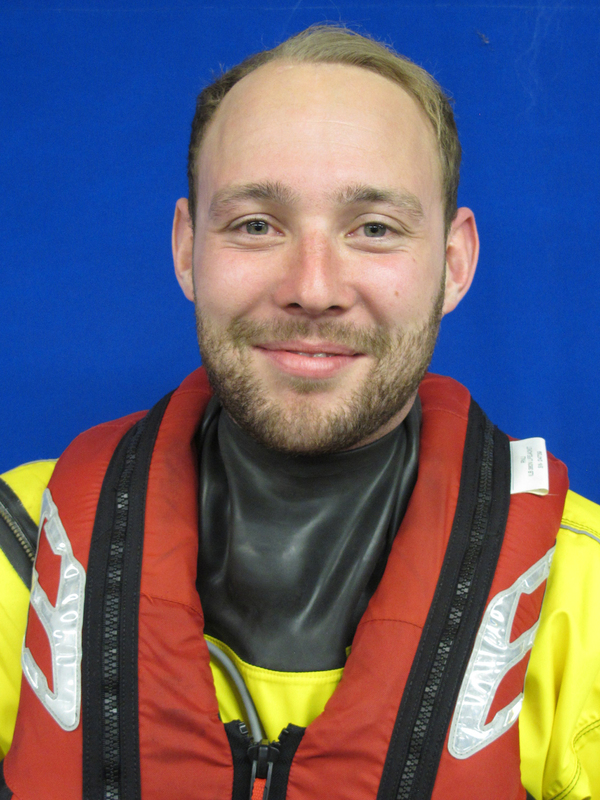 He joined the RNLI Dart team in 20016 and is currently a probationary lifeboat crewman. Proudest moment of 2018; - being invited to watch Harry and Megan&apos;s wedding at Windsor Castle. 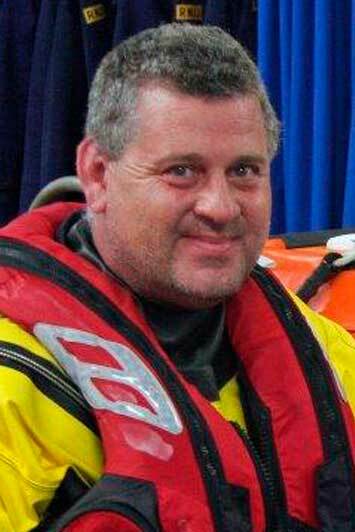 Haydn Glanvill is a crew member on Dart lifeboat and also one of the 100 members, nationally, of RNLI Flood rescue. He is a local Paramedic who has worked in the ambulance service and air ambulance since the age of 21. He moved to Dartmouth in 1981 and has remained in love with the town. 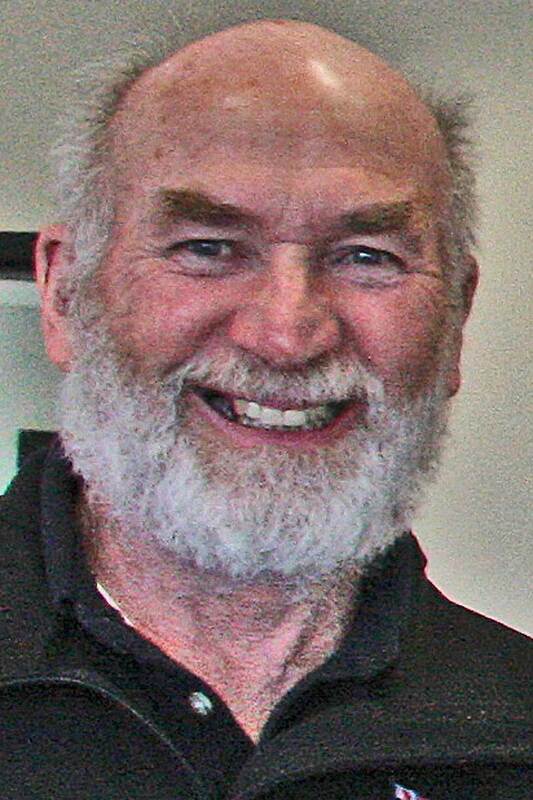 He was a founder member of the gig club and is a keen runner, kayaker and cyclist. He is very happy to recommend the RNLI as a volunteering opportunity for anyone who stays still long enough. 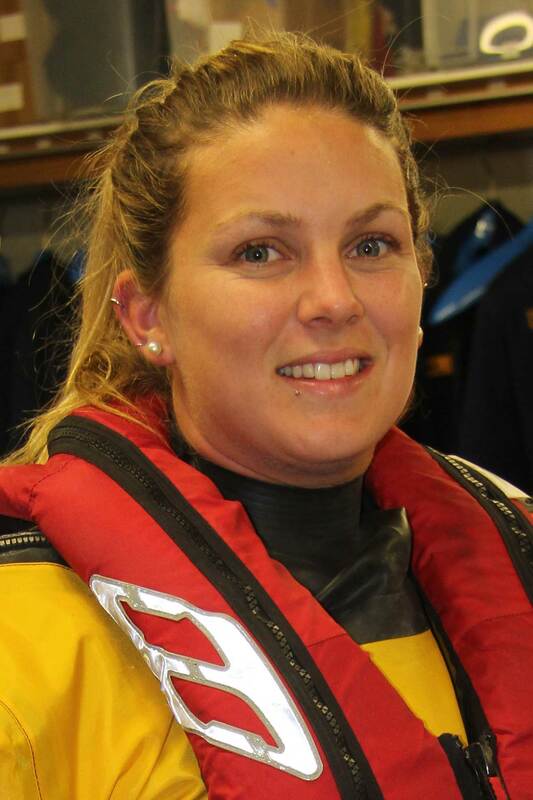 Katy joined Dart lifeboat as a crew member in April 2016 when she was 19. Having spent a lot of time coming to visit Dartmouth, her family decided to relocate and she has lived in the town since she was 8 years old. She joined the Dartmouth sea cadets two years later and spent a lot of time on the water. Since leaving college she has spent time travelling around the world. 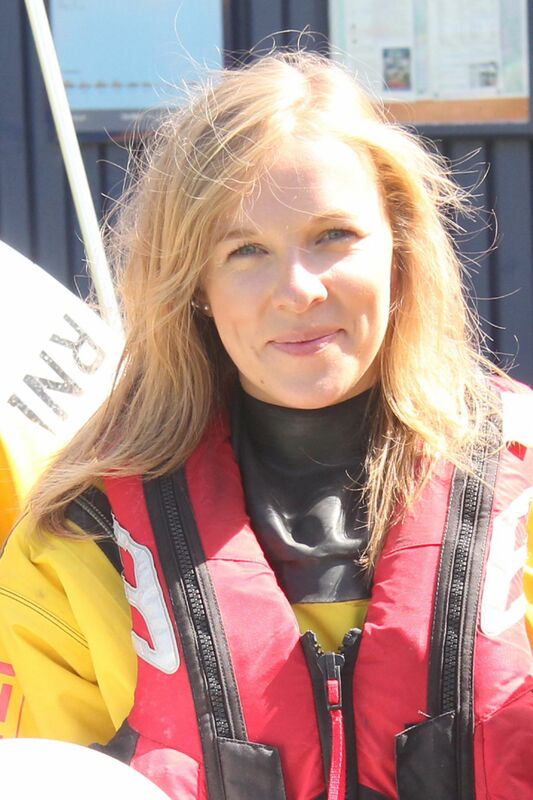 Katy loves the fact that she is able to be part of the RNLI so close to home and to be part of such a brilliant charity based on the water. Ian Lomas, known as Yorkie, was drafted to Britannia Royal Naval College with the Royal Marine band where he played bassoon and trombone. In 1995 he left the band and has worked as a builder locally ever since. 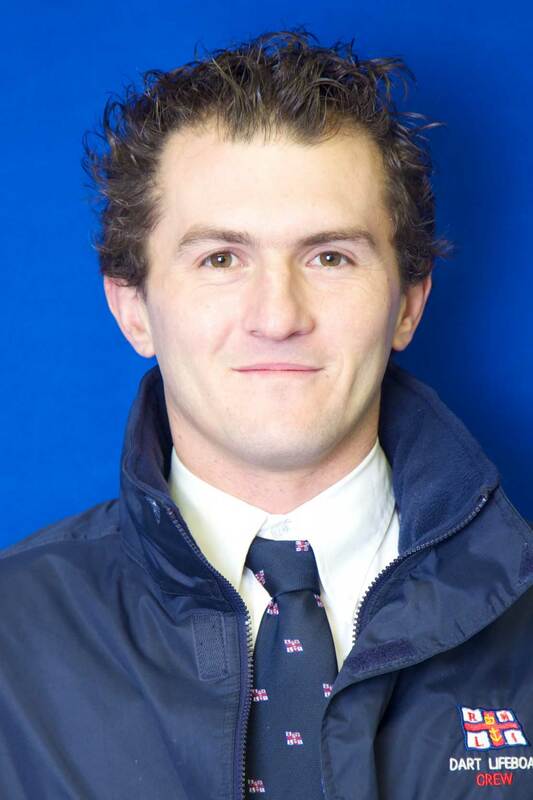 He has always been keen on rowing and became Captain of the Dartmouth Amateur Rowing Club. With three others he rowed the Atlantic in 2004. He is an Event Medical Officer for Marathons and Ultra Marathons. 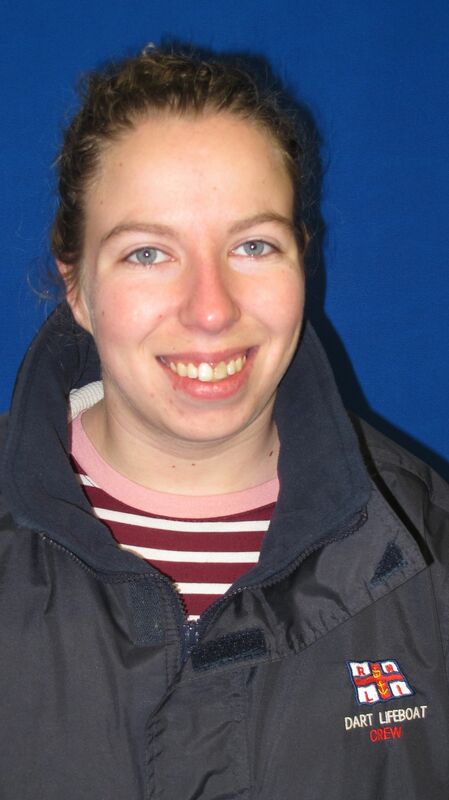 Yorkie joined RNLI Dart as soon as the opportunity arose in 2007. As well as being a lifeboat crewman he is a member of the RNLI national Flood Rescue team. 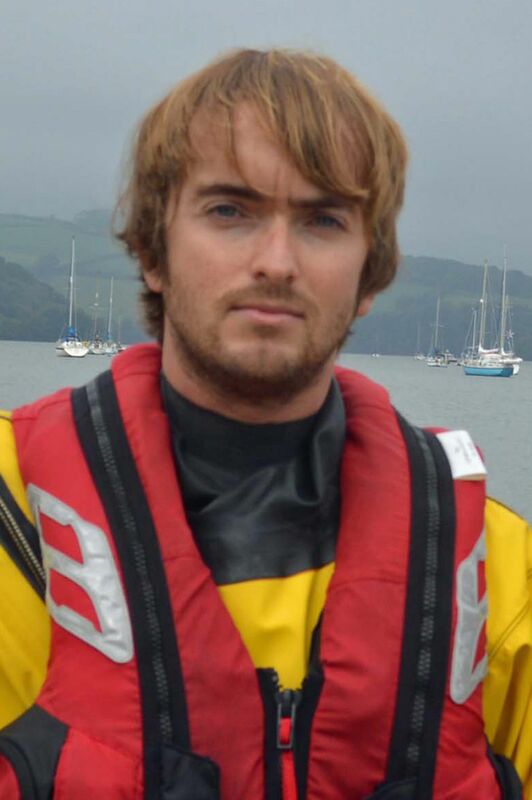 Ewen Menzies joined Dart lifeboat as a crew member in November 2010. He was born in Malta into a Royal Naval family, moving to Gosport and then Devon aged eight where he has spent most of his life living near the coast. 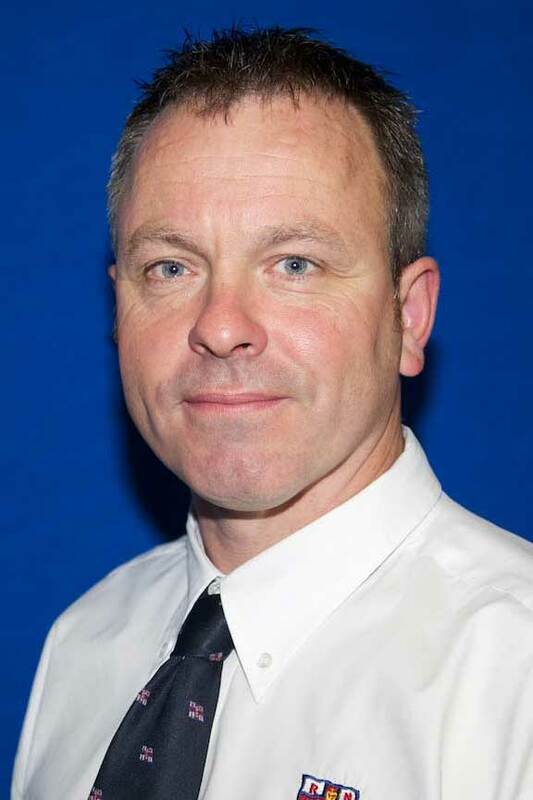 Ewen has worked as an aircraft engineer for Flybe for the last 20 years and now helps run the apprentice program. He moved to Dartmouth in 2010 with his family. It has been a long held ambition of Ewen’s to be involved with the RNLI and he has always admired the work of the coastal emergency services. 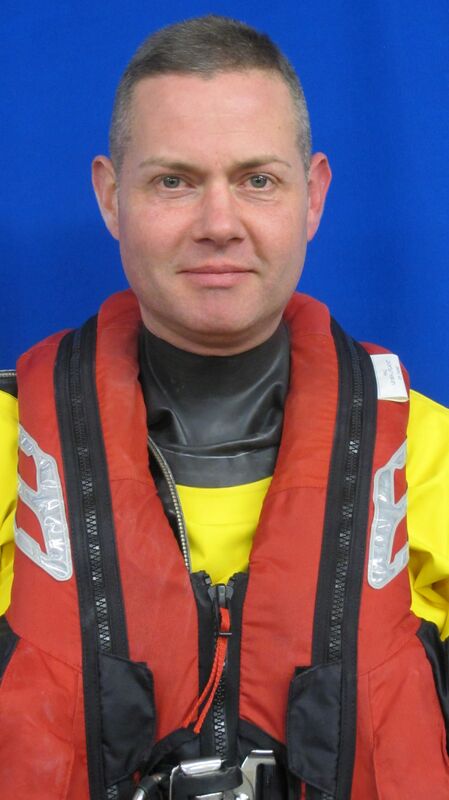 Stuart Millard joined Dart Lifeboat in 2015. He was born in East Devon, moving to Dartmouth in 2012 where he could enjoy his passion for all things watery. Stuart was a local estate agent for many years and is now a buying agent across the South West. Starting on the Launch crew as a tractor driver, Stuart officially became a member of the lifeboat crew on 10 April 2018. When not working, he enjoys socialising with friends, photography and being a volunteer for the Dartmouth Regatta. Chris Rampling joined the crew in 2007. He learnt to sail from a young age and has been around water ever since. This also led onto him becoming a RYA dinghy instructor, teaching sailing on the Dart. Having previously worked as a Lifeguard for several years, Chris now works for the RNLI as a Lifeguard Supervisor in the local area, gaining huge amounts of experience for his role on the lifeboat crew. The RNLI continues to be a passion for Chris, both in work and out. 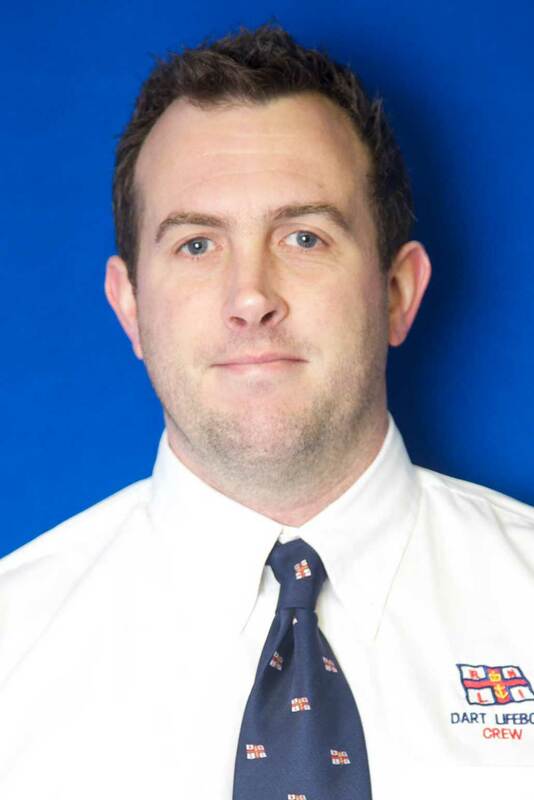 Ben Scrivens joined the launch crew in spring 2017 after moving to Dartmouth from Exeter to become the assistant manager at Rockfish. It has always been an ambition of his to be part of the RNLI and in February 2018 he also took on the role of RNLI Youth Education Local Events Administrator. Tom Shanley joined as crew member in April 2017. He was born in Salisbury and spent his childhood there whilst his father served in the army. He moved to Dartmouth in 2015 to work for his friends who had opened Bushell&apos;s Riverside that year. To this date Tom still works with them as restaurant manager at Riverside and their new restaurant Upper Deck. The RNLI has always been something Tom has long dreamed about, so to join was an absolute honour. 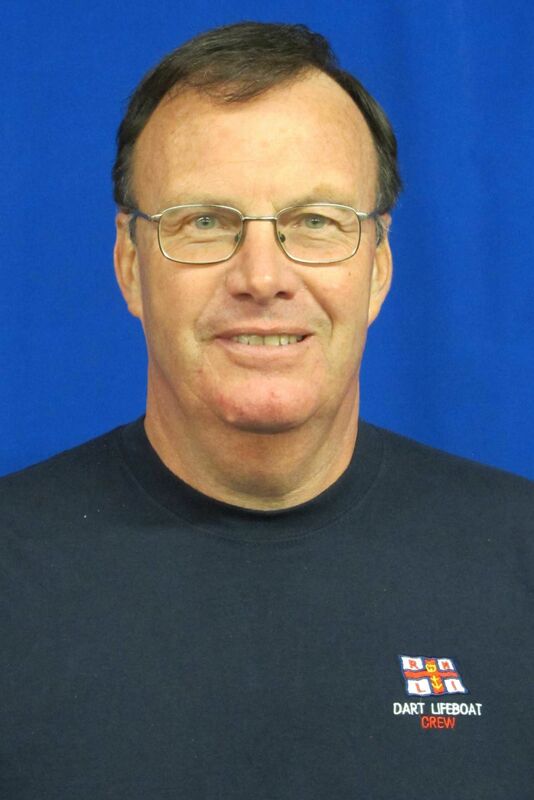 Peter Callis moved to Dartmouth in 1999 with his wife Judy. At that time he was working as a Project Manager for British Telecom. Being a keen sailor and aviator Dartmouth was an ideal town to base the family. Through his interest in sailing he volunteered to join the RNLI in 2007 when the lifeboat station in Dartmouth was reinstated. Initially Peter was asked to create a website. He soon realised there was a shortage of shore crew and has been an active member ever since. 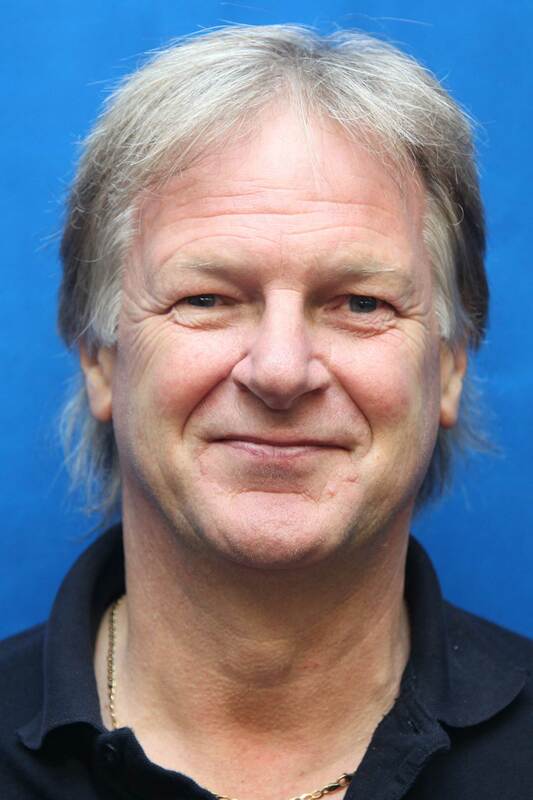 Peter was fortunate enough to represent the UK in micro-lighting events, both on a national and international level. He was also able to use his sailing skills to enable him to do a circumnavigation via the Panama and Suez canals in 2009 to 2011 as skipper of his own 44foot yacht Fai Tira. 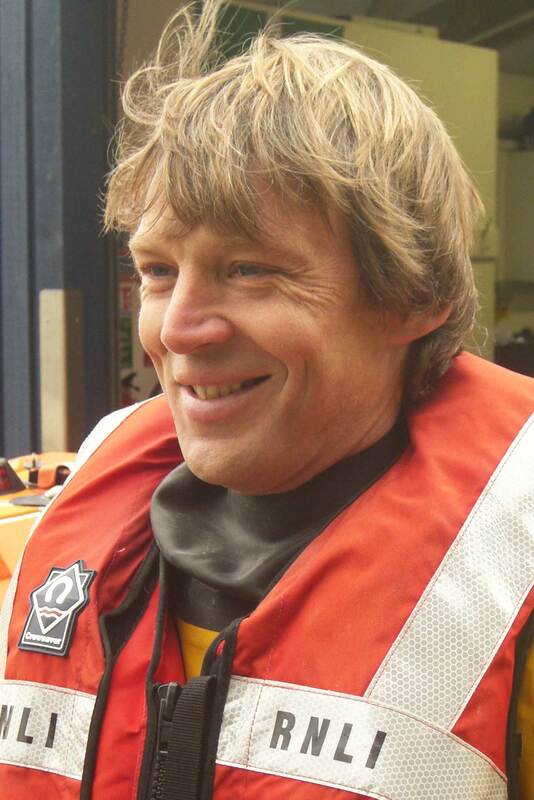 Peter greatly enjoys being a member of the Dart RNLI crew. Dani was brought up in Burnham on Sea and brought her boat to Dartmouth in 2015. She has lived aboard on the river ever since. She attends events around the country as a Bar Manager and as Event Security. 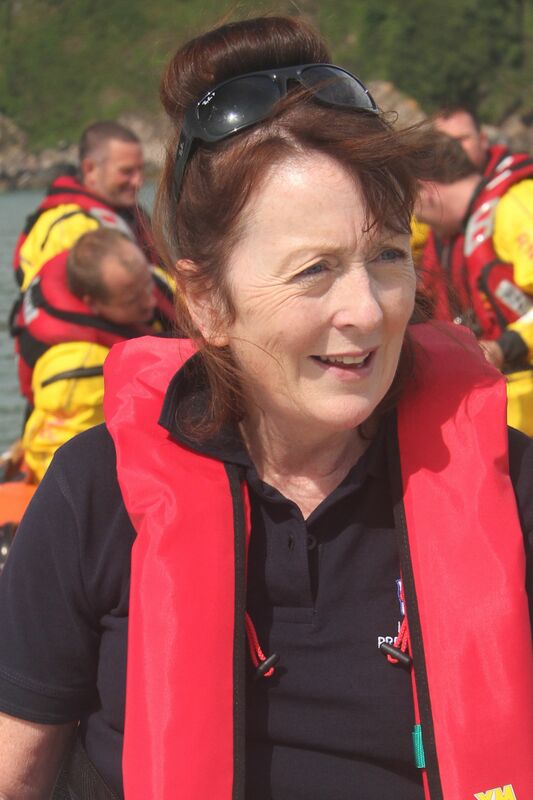 She is a volunteer on the Dart shore crew and is enjoying the training and getting to know the rest of the local RNLI team. 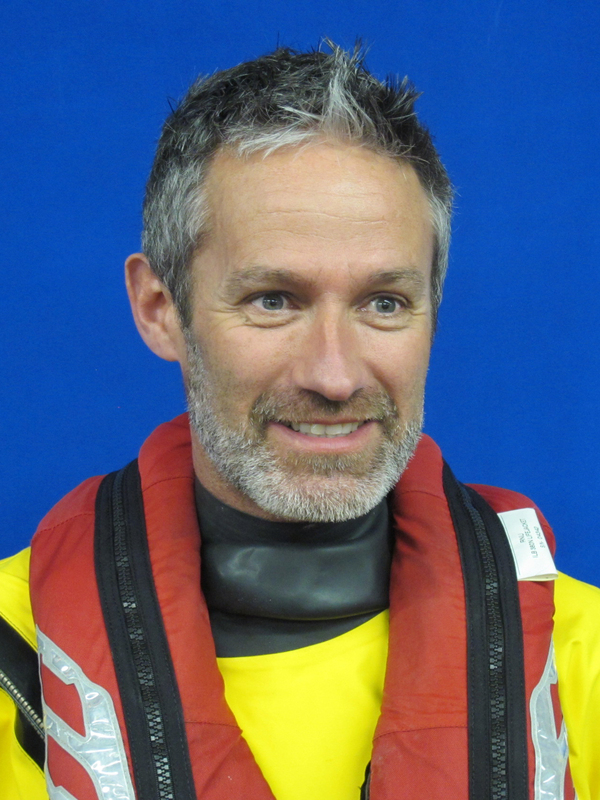 Paul Manley has been Station Administrator for RNLI Dart since April 2017. 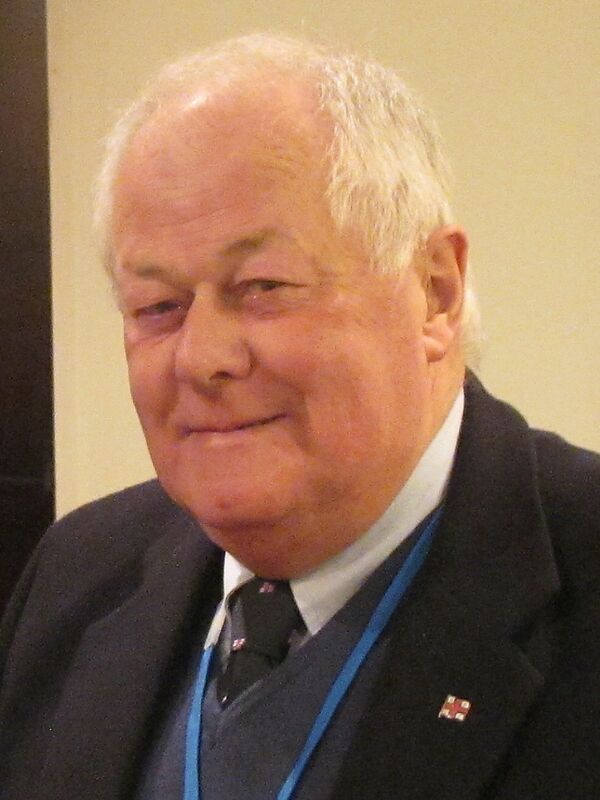 He is also co vice-chairman of the Fund Raising Committee and Secretary of RNLI Dart’s Local Management Group. 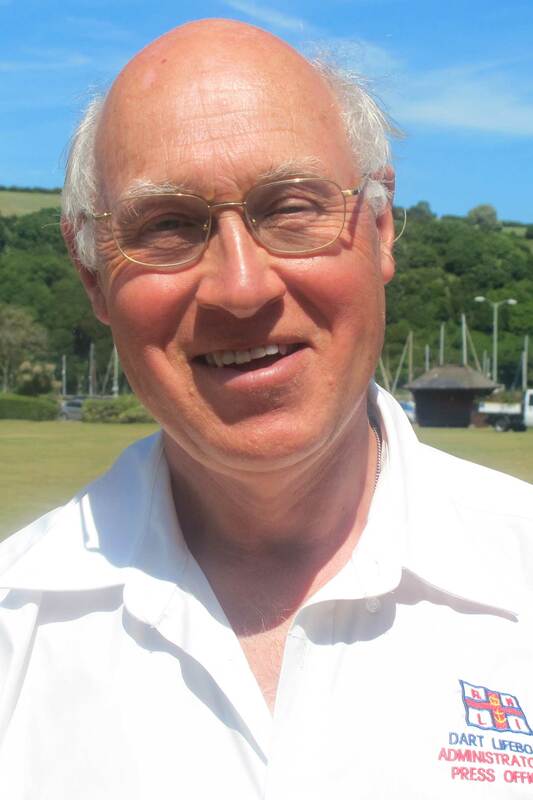 Before retiring to Dartmouth in 2012 he was a schoolmaster, first in Bristol, then for his last 33 years teaching PE and chemistry in a school near Windsor. He was formerly a competitive swimmer, water polo player, and sub aqua diver, before later coaching swimming and polo to national level. 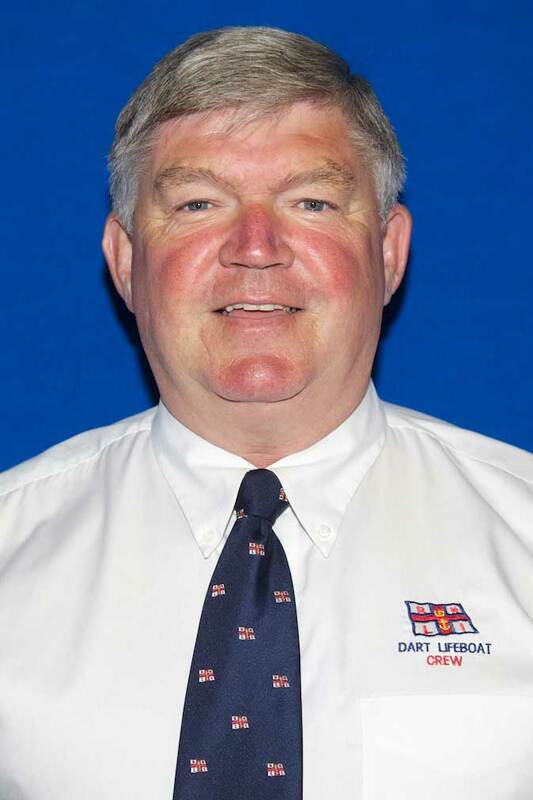 Dai Richards joined Dart lifeboat in 2008, shortly after it started, as a Launch authority and latterly as launch crew. Born in South Wales, Dai spent his formative years messing around in boats on the West coast of Wales in Tenby and Saundersfoot. From an early age he admired the army of volunteers who manned the local lifeboats, providing a safety net for those who went to sea for pleasure or livelihood. 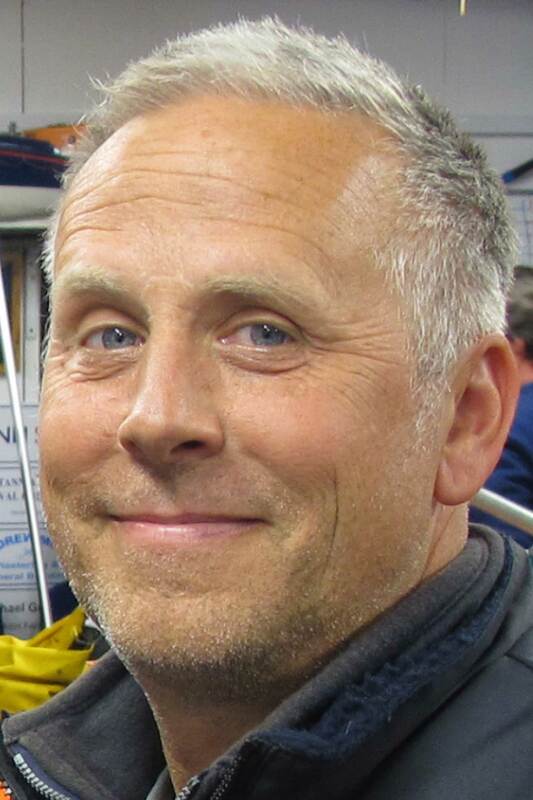 Having spent 25 years in the design industry in Bristol and sailed out of Dartmouth for many years, 2008 brought an opportunity to move to the town and set up his own business designing and making kitchens and furniture and achieve a lifelong ambition to be a lifeboat man. 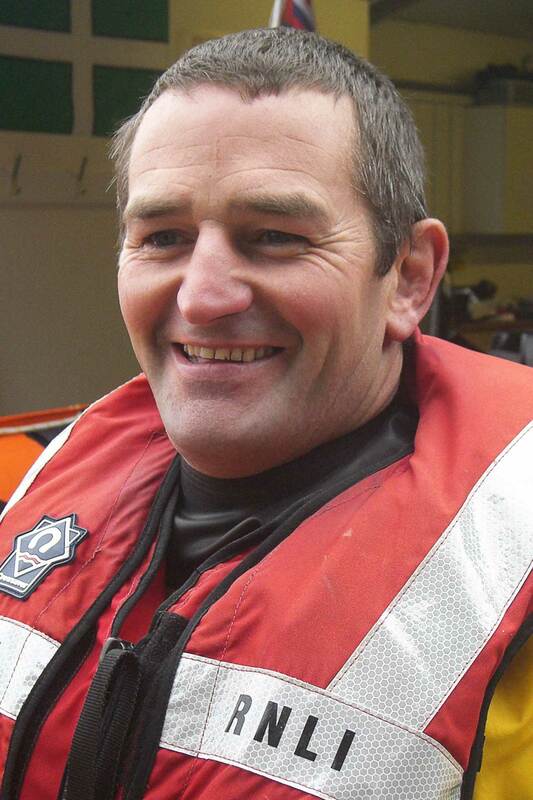 Steve Wallis joined Dart lifeboat as shore crew in November 2007 and, following laser eye correction, he joined the lifeboat crew in March 2009. He was born and raised in Dartmouth. At age of 14 he took up Rowing for DARC and spent many hours on the river Dart and always looks forward to the Regatta every year. Steven works in the Demolition industry as a site Manager. In 2016 it was unfortunate that Steven stepped down off the crew list but stayed on again in his previous role of shore crew. 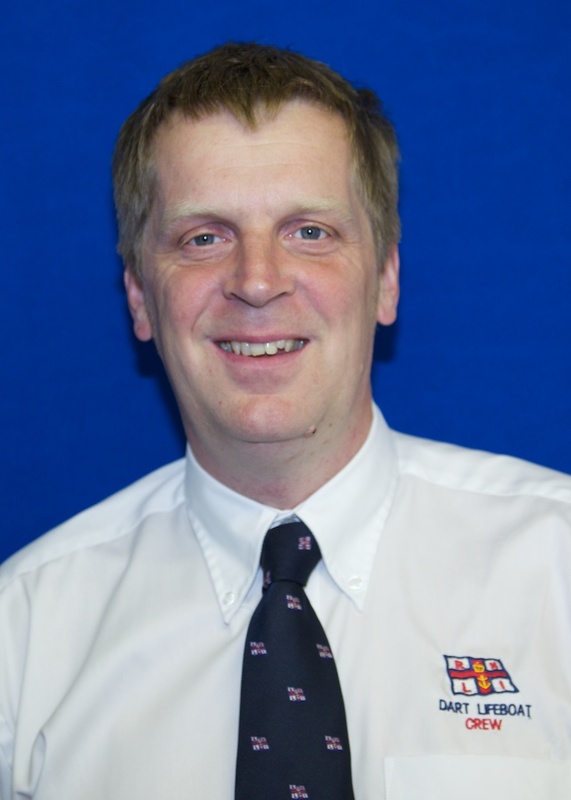 John Yunnie is the RNLI Community Safety Officer, and lives in Blackawton. He has been involved with the River Dart since 1975, when he took on the job of Fisheries Warden for the Dart and South Devon coast. Whilst in the RAF at St Mawgan, he served in the Newquay Lifeboat during the early 1970s. The RNLI&apos;s lifeboats were very basic in those days with an old army radio, metal fuel tank and no gps. He continued his job in Fisheries Protection until he retired in 2008. 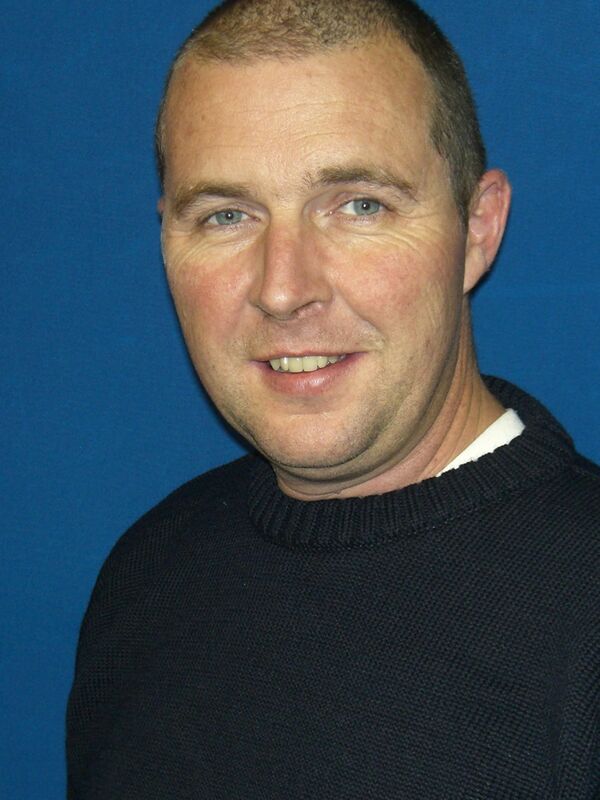 John joined the station when it was first established in 2007 and has enjoyed every moment. 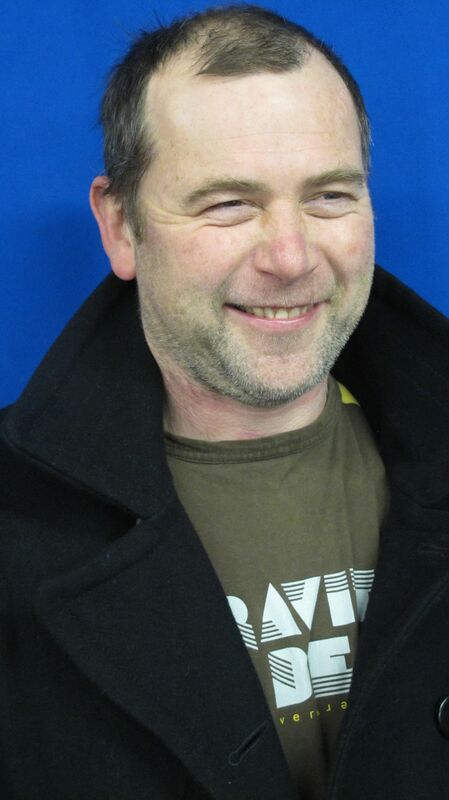 Simon lives in Paignton with his partner and two young children and works in Totnes as a toolmaker. He is the Station Mechanic and a tractor driver. His hobbies include model making and restoring steam and agricultural machinery. He organised the Classic Vehicle Gathering on Coronation Park in 2013 to support the station. 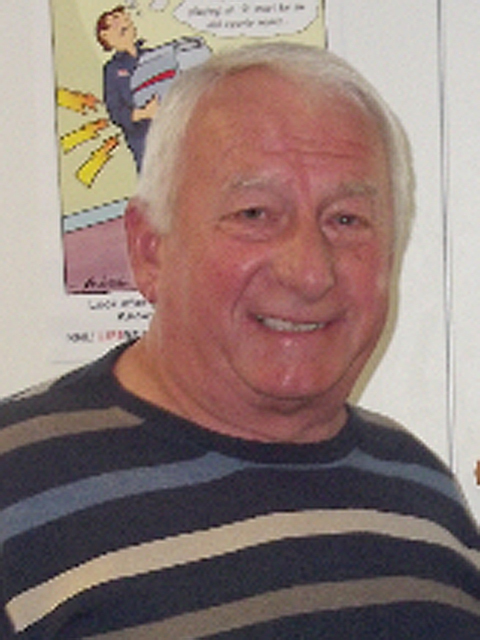 John Fenton is the Lifeboat Press Officer and Education volunteer. 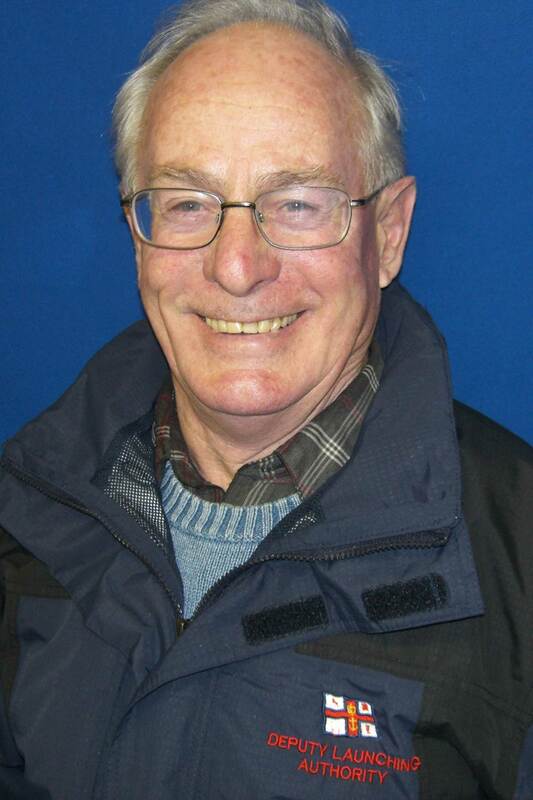 He moved to Dartmouth in 1971and spent 33 enjoyable years in General Practice. He retired in 2004 and, with others, instigated the idea of re-introducing an RNLI lifeboat into the Town. He has always been a keen dinghy sailor and learnt to sail at Sandquay at the age of eleven. Volunteering alongside the crew has taught him many new skills and it has been a privilege to promote the work of the RNLI and their story within it. 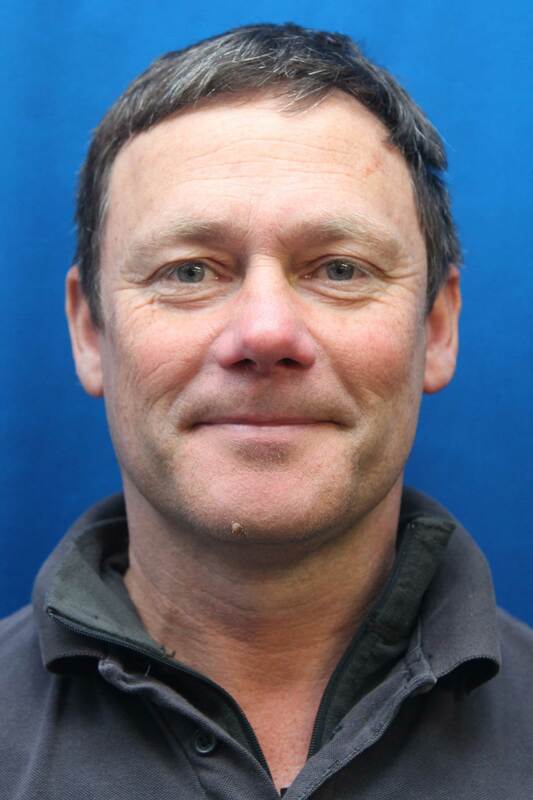 Paul Weedon is the Lifeboat Operations Treasurer and has been on the Local Management Committee since the inaugural meeting held in November 2004. His main responsibility is to pay local bills and crew expenses and to complete monthly accounts for RNLI headquarters in Poole. Paul also volunteers in the Visitor Centre. Paul has lived in Dartmouth all his life and is married to Gail and they have a son, Tim. 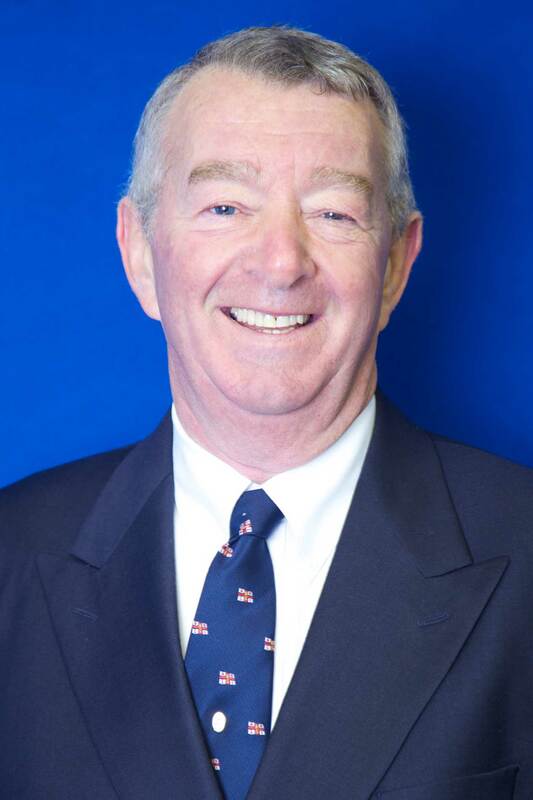 He worked for Lloyds Bank for 42 years until he retired in 2012 after being a Business Manager working in several local branches. His hobbies are golf and photography. The station is unmanned. 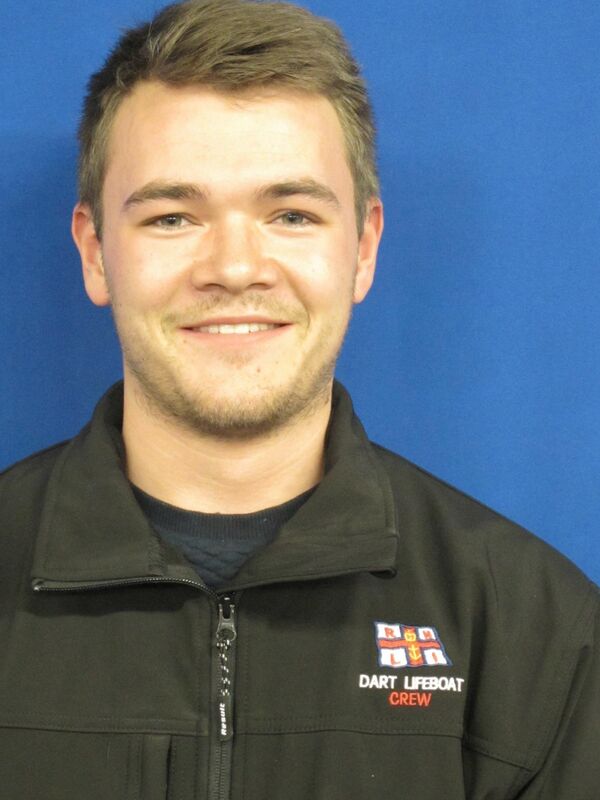 Find contact details for each member of the RNLI Dart team here. Opt in or out of receiving further information here.